What’s the difference between a 30-year and 15-year fix? While there are a wide variety of mortgages from which to choose, the vast majority of homebuyers will select just one – the 30-year fixed rate mortgage. In many ways, the 30-year-fix is the apple pie of mortgages. An American classic, it’s provides a stable and easy to understand option for homebuyers. However, it’s 15-year fixed rate mortgage sister is a slightly less popular option that could be better for some potential house hunters. Let’s dig into the differences. A 15-year and 30-year mortgage have a very similar structure, in that both have a regular, fixed payment. Your interest rate is one of the primary factors that determines how much your mortgage costs. As the borrower, you pay interest calculated on an annual basis against the outstanding balance of your loan. The lower the rate, the less you need to pay to borrow from the bank. Banks and lending institutions consider a 15-year loan less risky than a 30-year loan because they get the money back more quickly. For this reason, most 15-year loans are approved for lower interest rates – ranging from a quarter of a percent to a full percent, a savings that can really add up. The overall cost of your loan is the amount you had to spend to borrow money. In addition to the interest rate, this sum is determined by the term of your loan. Term refers to how long it takes to you repay. In the case of a 15-year fixed-rate mortgage, the term is 15 years. 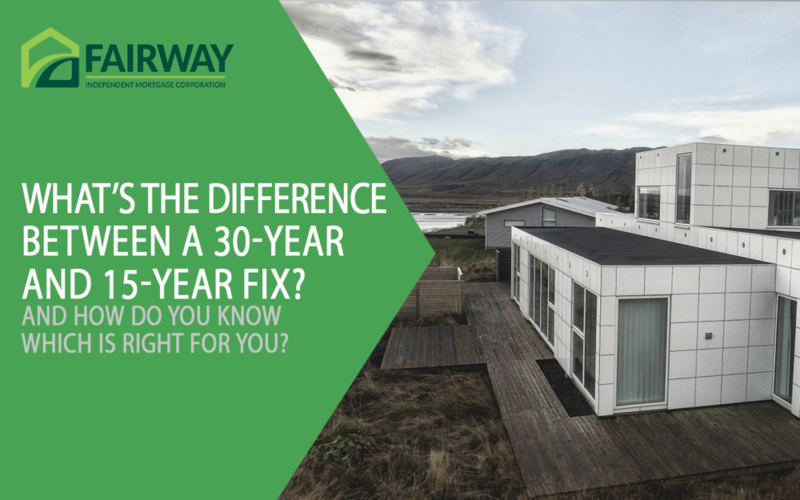 Because a 15-year-fix is half the lifespan of a 30-year-fix, you’ll be paying interest for half the time – meaning you save! With a 30-year-fix you have double the time to repay your loan. This means your monthly payments are substantially smaller, making them more affordable for the typical buyer. Because your monthly mortgage payments are smaller with a 30-year-fix, you’ll have more disposable income each month. This can allow you to save and invest your money in more profitable ways. Talk to Dan to find out if a 30-year or 15-year fixed-rate mortgage is right for you. Utilize our online quick app to receive a quote from Dan. It only takes a few minutes to fill out the form. CA: Licensed by the Department of Business Oversight under the California Finance Lenders Law. Loans made or arranged pursuant to a California Finance Lenders Law License. 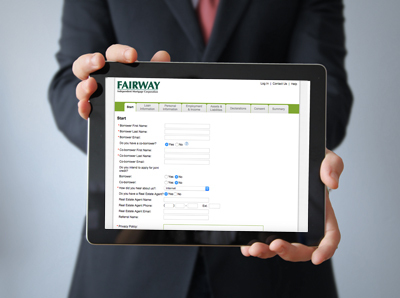 Copyright © 2018 Fairway Independent Mortgage Corporation. NMLS#2289. 4801 S. Biltmore Lane, Madison, WI 53718, 1-877-699-0353. All rights reserved. This is not an offer to enter into an agreement. Not all customers will qualify, Information, rates and programs are subject to change without notice. All products are subject to credit and property approval. Other restrictions and limitations should apply. Equal Housing Lender.